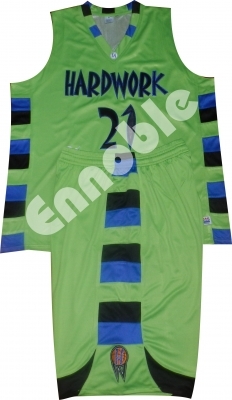 Basketball Uniforms | Ennoble International Pvt. Ltd. 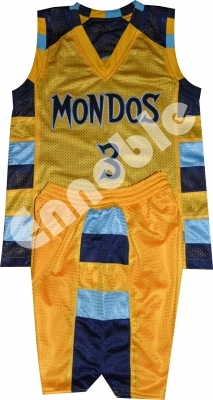 Custom made Basketball Gear. 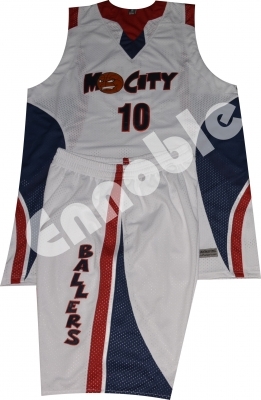 We produce basketball Jerseys, Shorts and Training Shirts entirely according to customers’ Requirements. 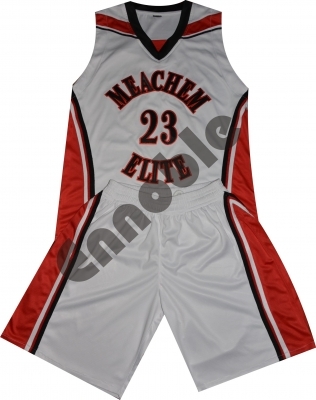 Basketball Uniforms in 15 different fabrics including Regular Cool Fit, Dazzle Medium, Dazzle Heavy, Checkered Cool Fit, ML Jacquard, Premium Dry Fit, Standard Dry Fit, Standard Premium Medium, Standard Premium Heavy, Cricket Polyester, Pro Mesh, Mesh, Micro Mesh, Ultra Fit Soft, Pro Play, Poly Tricot Fabric in more than 22 colours. 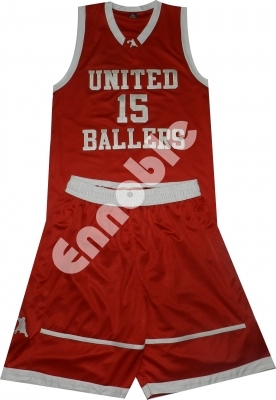 Customized fabrics & colours also available on bulk quantity orders. 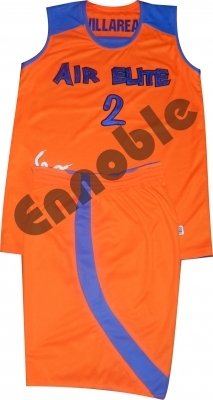 Just Show us the Style and we will do the rest. 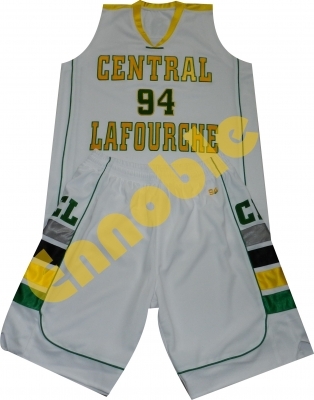 Basketball Uniforms in multicolour Text, Logos & Numbers on front & back, Players' name. 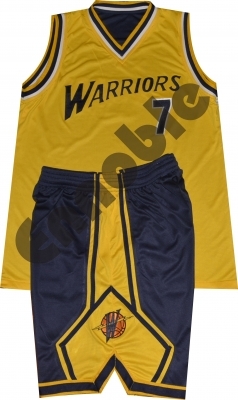 Added Stars, Logos, Motifs on jerseys & shorts will make a fantastic Basketball Gear. 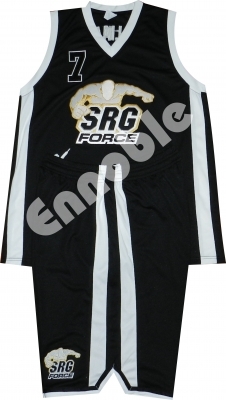 Any style of Neck, Arms & Shorts Inseam as per your requirements. 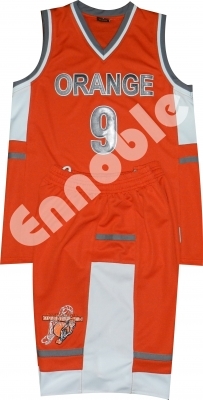 Up to 3 colours folder made trims on Neck, Arms and Shorts available. 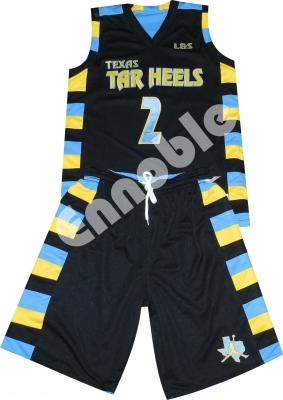 Pinstripes & additional stripes can be added to your choice. Rib-knitted Trim will also be available on bulk quantity Orders. 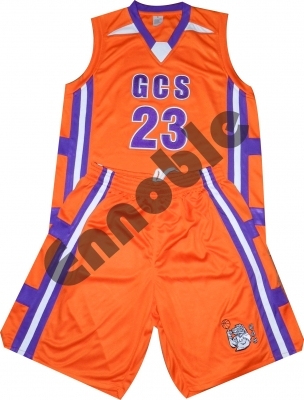 Sublimation Printed Uniforms also available in more than 300+ Colours & in custom styles.